Several months after abolishing taxes in the region of Gilgit Baltistan, the government of Pakistan is set to make a U-turn on its decision by once again imposing taxation. At the same time, authorities announced the abolishment of the Gilgit Baltistan Council, along with the Kashmir Council in the next couple of weeks. 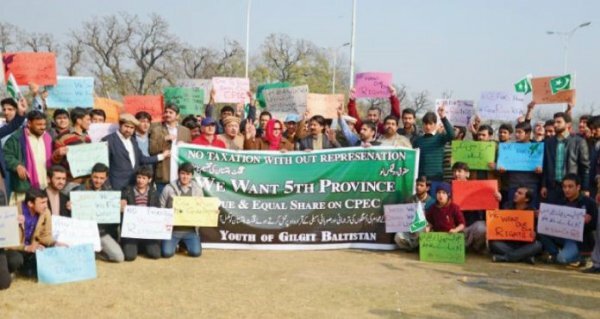 The people of Gilgit Baltistan are protesting this decision, considering that there should not be any form of taxation without constitutional rights and recognition of the region as part of a province of the country. Though the imposed taxes in Gilgit Baltistan (GB) was withdrawn by the federal government after a prolonged protest and long marches across GB a few months ago, the centre is yet again imposing taxes in the region but this time to be collected through Federal Board of Revenue (FBR). Photo courtesy of Pakistan Today.